As my travel memoir–Waking Up In My Own Backyard–seems to have struck a cord with readers, Melanie (to whom I dedicated the book) and I decided to roll out the concept across Canada. We recently held a FB contest for a name and received 187 suggestions! We selected “The Heartsong Project,” submitted by Anna Mallin. 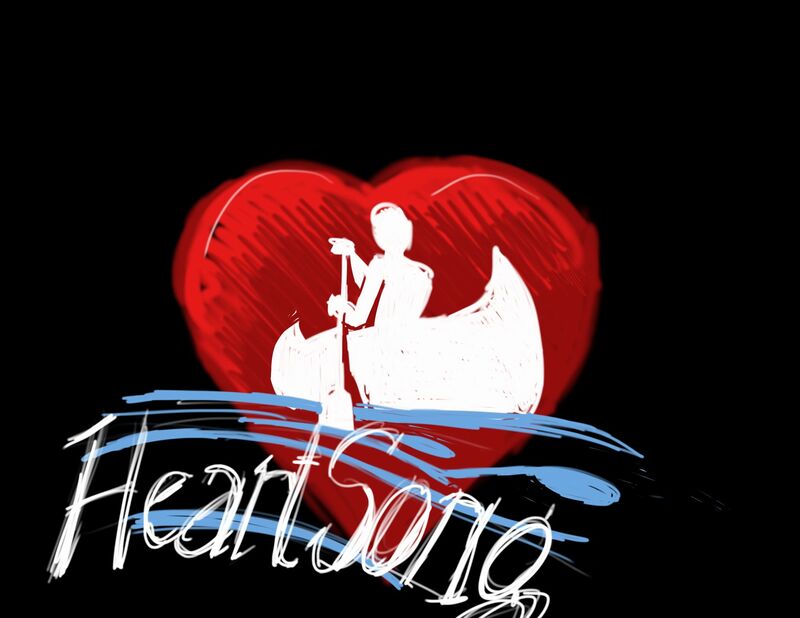 Our goal is to launch HEARTSONG in the spring of 2019. In a nutshell: go somewhere in your own backyard (however you define this) and do something/meet someone, have an experience–that makes your heart sing. Approach it as if you are in a new, exotic place. Make a spontaneous connection with someone; take a risk; go down an undiscovered path … then tell us about it! Over the coming winter we’ll have a website built specifically for HEARTSONG where Canadians can post stories/photos much like Melanie and I did with The July Project. And, as I said, we hope to launch the project Canada-wide next spring. Note: the logo you see is NOT for our project! It’s something dashed off by a friend and shows that paddling makes my heart sing. But I thought I’d post it anyway. A logo for the project is now in the design phase. Please subscribe to my site so you can stay tuned and hear about the plans for HEARTSONG as they unfold. It’s easy. Just go to the right side of this post and enter your email. Meanwhile, check out Rick Mercer’s last rant here. It’s priceless … and so “bang on” with our plans. By the way, don’t wait until we roll this out across the country next spring. Start now to get up close and personal with your own backyard! It could change your life; it changed mine. And please let me know what you think. Thoughts, suggestions, welcome! What a wonderful idea. I have been going to new places around here and met many new people. I will continue to do this and will start writing about it and posting when the time comes. Recently I visited with a friend the new weather station in Shelburne. Now we do not get the weather report from Baccaro. A bit of a hike but really exciting. Also visited a marble monument in the Shelburne Cemetery to a little girl who died recently. It sparkled in the sun. I was moved. Oh! I love what you wrote Susan! It’s exactly the kind of thing that I’m referring to. YAY! Sounds great! I had a lot of amazing encounters last week in the broader backyard of my province, like meeting this lovely woman who helped me get down a small mountain I’d climbed and didn’t realize till I turned around to go down how steep it was going down (it had rained). At the bottom we realized how much we had in common and I felt like I’d made a new friend. Yes, I’m sure you DID make a new friend, Lynn. And that’s what happens in our own backyard and take the time to “connect.” Thanks for popping into view!